The Ministry of Forests, Lands and Natural Resource Operations advises that prescribed burning is planned for several areas west and south of Williams Lake between Sept. 24 and Oct. 31, weather conditions permitting. Historically, the grasslands in the Cariboo-Chilcotin were renewed through frequent, low-intensity ground fires. Such fires prevented tree encroachment, rejuvenated understory plants and helped maintain more open grasslands and forests with large trees. The reintroduction of managed, low-intensity ground fires to these grasslands is intended to restore and maintain traditional grassland plant communities that are native to these areas. 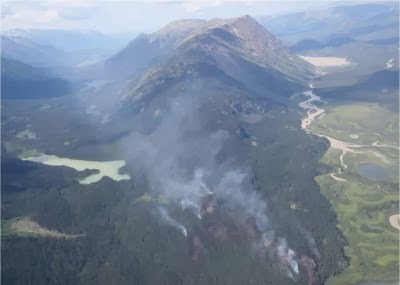 These fires are part of an ongoing ecosystem restoration program administered by the provincial government in consultation with First Nations, local ranchers, the B.C. Wildlife Federation and the Cariboo-Chilcotin Conservation Society. * Fire is a normal, natural process in many of British Columbia's ecosystems. Many species of plants, birds, insects and other animals depend on fire for its regenerative properties. * Fire helps control insects and the spread of disease in forests. It also contributes to forest regeneration, as younger trees replace older trees. Having trees of various ages in a forest helps create biodiversity. * Prescribed burning is one of the tools used by forest professionals to achieve land management objectives. For example, fire can be used to enhance habitat and improve forage for cattle, deer, bighorn sheep and moose. * A controlled burn can also reduce fuel loads (combustible material such as underbrush and dead wood) and reduce the risk of wildfire in interface areas (where urban development borders on rural areas). * The size and intensity of prescribed burns are carefully planned and controlled to meet ecosystem management objectives. Prescribed burns are only ignited when weather conditions are favourable and when the fire will not create excessive smoke. Important factors used to determine whether a burn will go ahead include the venting index, temperature, humidity and wind conditions. * The venting index is a measure of how quickly smoke will disperse under specific conditions. Prescribed fires may only be ignited on days when the forecast for the venting index is "good" or better. * All prescribed burns must comply with the Environmental Management Act's open burning smoke control regulation, which helps minimize the amount of smoke that's produced. * A prescribed burn is ignited and continuously monitored by trained firefighting crews to ensure that the fire does not spread beyond its planned size. The fire crew supervisor (the "burn boss") is responsible for ensuring that initial burning conditions are favourable and that the fire is fully extinguished once the prescribed burn is complete.